On Friday, federal District Judge Reed O’Connor ruled the Obama regime’s 2010 Patient Protection and Affordable Care Act (Obamacare) unconstitutional over its mandate requiring all Americans buy health insurance, negating their right to opt out. O’Conner said the mandate “can no longer be sustained as an exercise of Congress’ tax power – calling it “unconstitutional,” other Obamacare provisions invalid. As part of last December’s great tax cut for the rich heist, legislation signed by Trump eliminated Obamacare’s individual mandate – effective in 2019. The employer mandate to provide healthcare coverage remained in force for companies with 50 or more full-time workers. The Friday ruling came on the eve of the deadline for Americans to enroll in Obamacare. For now things are unchanged. The ruling will surely be appealed – virtually certain to be decided by the Supreme Court. The cost of healthcare in America is around double what consumers in other developed countries pay. In cahoots with predatory healthcare providers, Obamacare failed to correct this fundamental flaw. The program fell way short of promised benefits. Its high cost left millions uninsured, most Americans way underinsured. Wages of ordinary Americans fail to keep up with rising costs, putting healthcare in the country the way it should be increasingly less affordable annually. Obamacare made America’s healthcare system more dysfunctional. It’s a rationing scheme boon to predatory providers, enriching insurers, drug companies, and large hospital chains at the expense of universal affordable coverage – everyone in, no one left out, what healthcare everywhere should be all about. It’s a fundamental human right. Article 22 of the Universal Declaration of Human Rights says every “(e)veryone, as a member of society, has a right to social security…” Every nation is obligated to provide it. If the Supreme Court upholds lower court rulings at the district and likely appeals court levels, healthcare for millions enrolled under Obamacare will be hugely disrupted. On June 28, 2012, the Supreme Court upheld Obamacare by a 5 – 4 ruling, Chief Justice Roberts voting with the majority. “To regulate Commerce with foreign Nations, and among the several States, and with the Native American Tribes, majority justices upheld Obamacare as an exercise of US taxing power – despite Obama turning truth on its head denying the law was a tax. The High Court ruling was pro-business, serving the interests of healthcare giants. Industry lawyers and lobbyists drafted the law to assure its provisions benefitted their clients – what’s behind virtually all US legislation, benefitting privileged interests at the expense of the general welfare. A record pro and con 136 amicus briefs (friends of the court) were filed for court consideration. Following the Supreme Court’s ruling, Physicians for a National Health Program (PNHP) said it left vital healthcare needs “unmet…Our healthcare crisis” continues to fester. Another major flaw is giving drug industry giants unrestrained power to charge exorbitant prices, raising them hugely to maximize profits, making expensive drugs unaffordable for millions, forcing many people to choose between proper healthcare and other essentials to life and well-being. 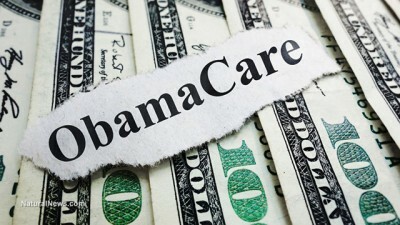 Friday’s district court ruling put Obamacare in limbo. The Supreme Court will almost surely decide its fate next year. Law Professor Abbe Gluck joined with others in filing an amicus brief, supporting Obamacare’s legality. There’s no way to know for sure how an appeals court and the Supremes will rule on this issue. Make no mistake. Obamacare is the law of the land, passed by Congress, enacted when Obama signed the legislation – despite its serious flaws, benefitting healthcare industry giants at the expense of ordinary Americans. Most likely, O’Connor’s ruling won’t stand, but there’s no way to know for sure until higher courts rule.